Doctor Who TV show on BBC America. 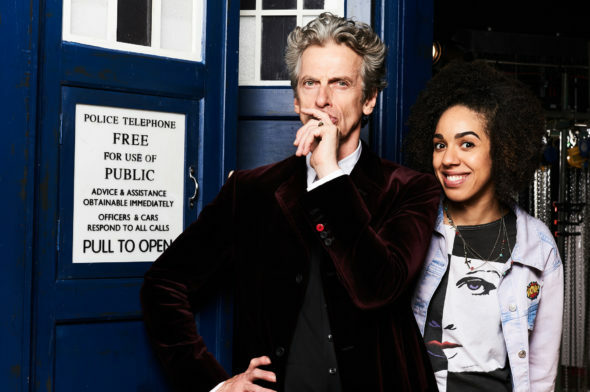 Peter Capaldi with Pearl Mackie, the new companion. Credit: © BBC/Ray Burmiston. Production has begun on the 10th season of the Doctor Who TV show, which airs on BBC America, in the States. 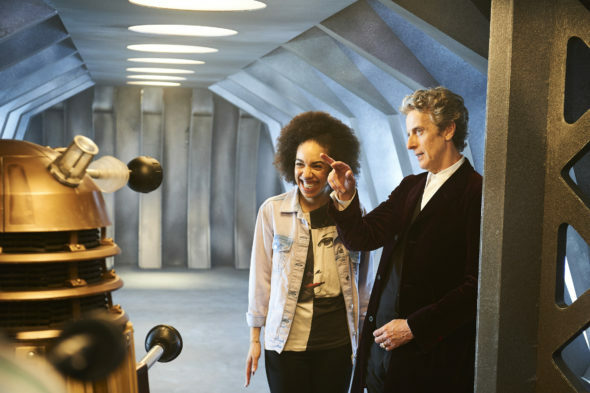 The Doctor’s latest companion, played by Pearl Mackie, shared a picture and video from the set. Check them out, below. The series will return to BBC AMERICA in December 2016 with a Christmas Special, followed by the new season in 2017. The Doctor Who TV series currently stars Peter Capaldi as the Doctor. Matt Lucas will return in the 10th season. Stephanie Hyam is set to guest-star. The show is executive produced by Steven Moffat, Brian Minchin, and Peter Bennett. Doctor Who TV show on BBC America. 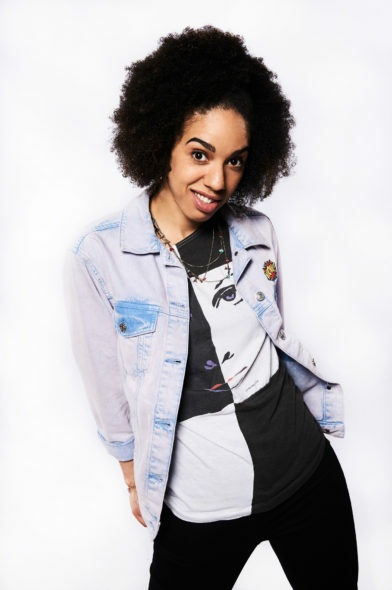 Pearl Mackie as The Doctor’s companion. Credit: © BBC/Ray Burmiston. The Doctor Who TV show is a production of BBC Cymru Wales. Take a look at all of our coverage Doctor Who coverage. Doctor Who TV show on BBC America. Pearl Mackie and Peter Capaldi. Credit: © BBC/Ray Burmiston. What do you think? Are you getting excited for the upcoming tenth season of the Doctor Who TV series? Where do you want the story to go? Capaldi is uninspiring & boring. The companions are also getting steadily worse. They are as “smart” (and more arrogant) if not smarter than The Doctor. I’ve been a Dr Who fan far longer than I care to admit. Might be time to pull the plug & let the series rest for a few years.